I have been seeing the trend of ring chain bracelets. I used the Beads Landing Legends Spike Chain as my inspiration to make this spike chain ring bracelet. Supplies needed: Beads Landing Legends Spike Chain, from Michaels Craft stores. 4- (2 MM) Jumprings, Jewelry Pliers, Silver Cable Chain, here. Lobster clasp and tab, here. 1. Beads Landing Legends Spike Chain Measure around your finger. 2. Attach the jumpring to create a ring. 3. After attached jumpring it should form a ring for your finger. 4. 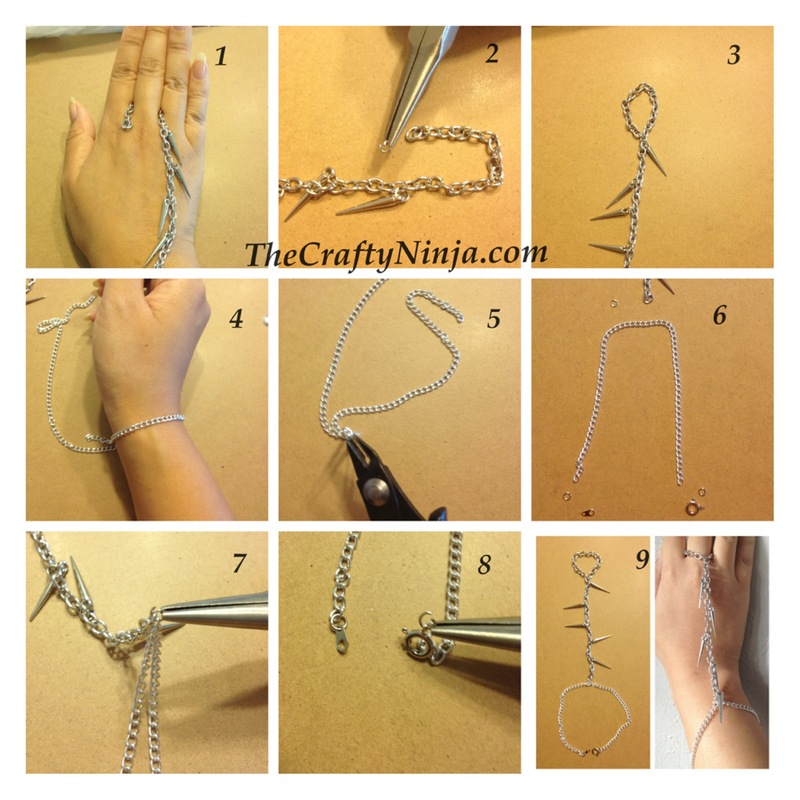 Measure silver cable chain around your wrist. 5. Cut the silver cable chain the length of your wrist with a nipper tool. 6. Layout of where to attach the silver cable chain with jumprings. Find the middle of the silver cable chain. 7. Attach the middle of the silver cable chain to the end of the spike chain with a jumpring. 8. Attach both ends with a jumpring with a lobster clasp and tab. 9. 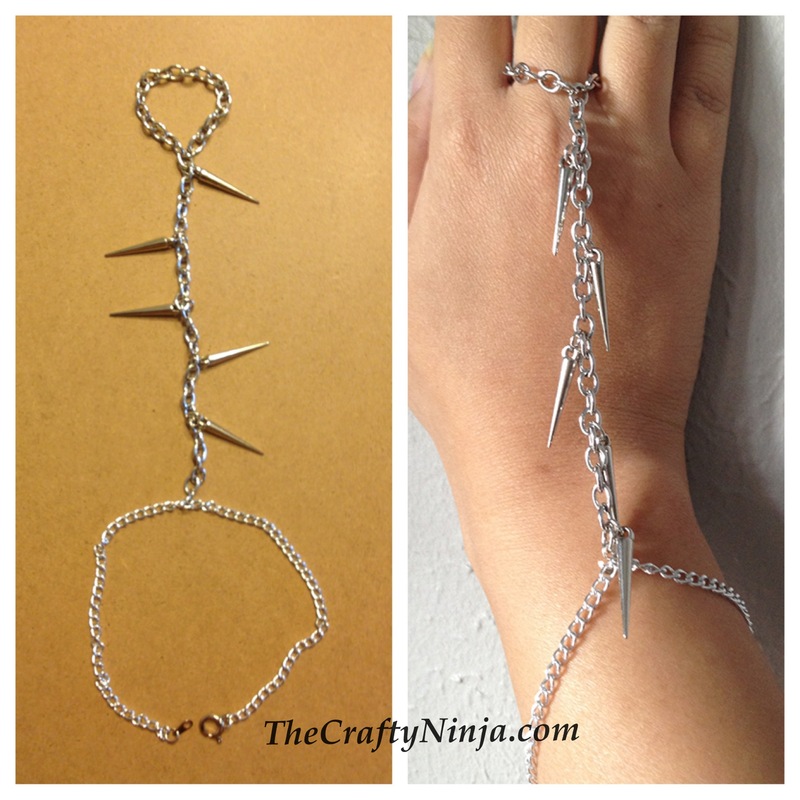 Once done you will have your spike ring chain bracelet.